In conjunction with the exhibition “Picasso et la guerre”, which opens on April 5 at the musée de l’Armée in Paris, Dr. Amanda Herold-Marme will give a conference in French entitled “Roberta Gonzalez: an artistic path forged by war”. 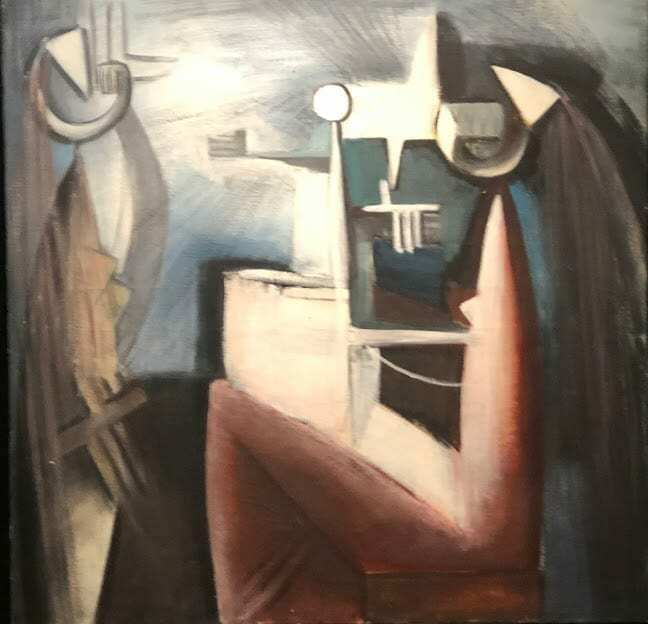 This conference will recount the life and work of Roberta Gonzalez, an artist of French and Spanish origins mainly known for her painting, who was also the daughter of Spanish sculptor Julio Gonzalez. The focus will be the impact of war on her artistic and personal development. Key moments that will be highlighted in the presentation include the Spanish Civil War, which signals the emergence of an avant-gardist style in her work that conveys the anguish of the times, the Second World War, which affects Roberta and the Gonzalez-Hartung family more directly, and the postwar period, as she struggles to free herself and her work from the after effects of these difficult years, and moves toward her personal style, independent of the dominant aesthetic movements on the Parisian scene. Her relationship with Francoist Spain will also be evoked. Dr. Amanda Herold-Marme is an art historian who specializes in Spanish artists in Paris in relation to the Spanish Civil War, exile and Franco’s dictatorship. She has published numerous essays on these themes, including on the subject of Roberta and Julio Gonzalez. This conference is organized within the cycle “Guerre et artistes du XXe siècle” (“War and 20th century artists”), sponsored by the musée de l’Armée in partnership with the Université permanente de la Ville de Paris. It will take place on April 15th at 1:45pm at the Austerlitz Auditorium of the Hôtel National des Invalides (129, rue de Grenelle, Paris, 7th arrondissement). Reservations are free and obligatory, by writing to the following address: histoire@musee-armee.fr.